Just this morning I got an email from a head shop I’d dropped into on my last trip to San Francisco. I didn’t recall leaving my email address, but I certainly remembered the shop, festooned with fascinating herbs in colorful packets, unfamiliar plants, water pipes like octopi, merging aesthetics with efficiency. Sunshine streaming through the windows and the scent of incense, barely noticeable but enchanting as always. I was visiting the haunts of my hippy days, the famous intersection of Haight and Ashbury, and of course everything looked so much cleaner, more commercial, and, well, more legal, than it had back then. But what to buy? I don’t normally take drugs anymore, legal or not, but I recognized the name “kratom” on several vividly coloured pouches on display behind the counter. Kratom (Mitragyna speciosa) is sold as the crushed-up leaf of the kratom plant, grown in jungles throughout southeast Asia. You can make kratom tea or dissolve it in juice to experience its effects, and it’s become increasingly popular all over the Western world (though it’s been around for centuries). You can buy it at head shops, hundreds of internet sites, and now at kratom bars popping up in Los Angeles and other happening places. Obviously some people enjoy this “legal high”. In case you haven’t heard, there’s a very important development regarding your access to this safe and incredibly helpful herb! The Drug Enforcement Administration (DEA) today announced its intention to place the active materials in the kratom plant into Schedule I of the Controlled Substances Act in order to avoid an imminent hazard to public safety. The first thing you should know is that Schedule I drugs – most famously heroin, and somewhat embarrassingly marijuana and LSD – call for the most severe controls and punishments. (Meth and cocaine are nearby on Schedule II). So the kratom user may end up cell-mates with meth and heroin addicts. The second issue is – why? What’s the “imminent hazard to public safety”? I wasn’t aware of any hazard when I asked the pierced young woman behind the counter what type of kratom I should try. I had taken kratom with a friend in the Netherlands where I live. Here it’s fully legal and sold in shops, as it is in most (but not all) Western countries. Kratom happens to be illegal in Thailand, apparently because it undercuts the lucrative opium industry. I hadn’t felt much the first time I’d taken kratom and wanted to give it another try. So I asked the young woman what she recommended and she brought out a menu card. Midnight Blue is the most relaxing, Sunrise is sort of stimulating but mellows you out at the same time. Starshine just helps you feel … centered. Each mixture was touted to profer a slightly different buzz. So I bought a couple of packs for about $20 and got a little … high? “High” is a strong word for what kratom actually offers. This plant is just one of a list of age-old plants and herbal extracts that make people feel a bit peppier, a bit happier, a bit more relaxed. A list that includes St John’s Wort, ginseng, wild lettuce, coffee (yes, coffee), kava, lavender, valerian, betel nut – the list goes on and on. The word “medicinal” is sometimes used. But “high”? That would be stretching it. 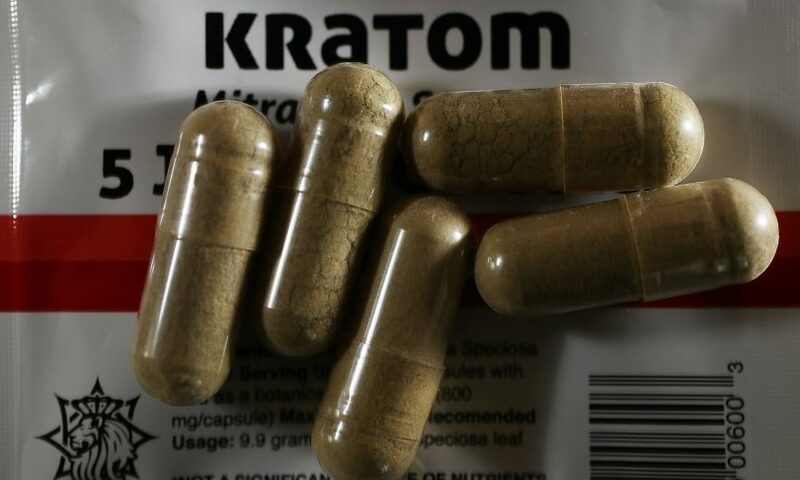 You can read all about kratom on the web, but perhaps one reason the DEA considers it an imminent hazard is because part of its effect comes from stimulating opioid receptors. You know, those receptors that get you smashed when you shoot heroin. Anything that stimulates opioid receptors and makes you feel pleasant must be very dangerous, so we shouldn’t take any chances. In fact, let’s ban alcohol (martinis owe much of their buzz to opioid receptors), let’s ban jogging (that notorious runner’s high – a long, winding road to the gutter). And while we’re at it, let’s ban breast milk, which helps babies feel relaxed because it too stimulates opioid receptors. But kratom is not an opiate. The molecule isn’t even vaguely related to morphine or heroin. It’s just an herb. It’s impossible to overdose on kratom. You’re likely to get a headache if you take too much. The roughly 20 deaths attributed to kratom in recent history are thought to be caused by other drugs: the National Institute on Drug Abuse notes that “commercial forms of kratom are sometimes laced with other compounds that have caused deaths”. And considering the 88,000 deaths per year linked to alcohol and the 28,000 overdose deaths from opiates (heroin and painkillers) in the US alone, it seems someone isn’t doing their math. Is kratom addictive? Maybe a little. But not as much as coffee and cigarettes – or Q-tips, tattoos, and Pokemon Go. And if you take it daily, guess what? It loses its effect. I’ve made the DEA’s announcement sound silly, even stupid. There they go again, banning whatever bothers them until voters in Colorado or somewhere start to object. But there’s a terribly tragic outcome to be expected if kratom is banned. 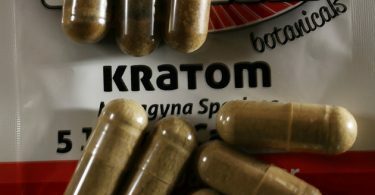 Because kratom attaches to opioid receptors, it’s an ideal way for heroin addicts to get off heroin with minimal withdrawal symptoms – a harmless, herbal methadone substitute. This folk-wisdom is splashed all over the net and freely shared among drug users. 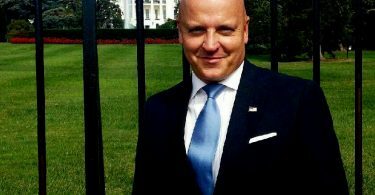 If kratom is banned in the US, many heroin addicts who want to quit will go back to heroin instead, and many, many more people will die.